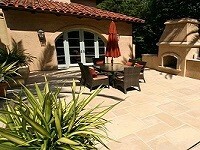 Are you trying to find the best and most reliable tile store in Los Angeles, CA? Trust us, the best tile store near you where you get all the tile and stone materials in utmost quality at one place which would be a time to save for the purchasers. Westside Tile & Stone is focused on offering you high standard, professional tiles that you can rely upon. Not only are we bringing you the ultimate value and quality for your money, but you can count on us to offer you designer tiles too. We believe that investing in the best tiles on the market is the best way to improve your home or workspace visual appeal. With our help, you can beautify your home, as we bring in front select file types that you can rarely find anywhere else in the world. We have more than 12 years of experience in the industry and we will harness and use all of that to bring you the utmost value and quality on the market. We know that doing this can be rather challenging and tricky, but we will do all in our power to assist as fast as possible. Moreover, we are the best tile contractor in Los Angeles, CA, and we can easily fulfill any custom requirement that you may need. Whether it is damage caused by time or tiles are losing its shine by the time or cracks in tiles, we have solution regarding every problem of yours. 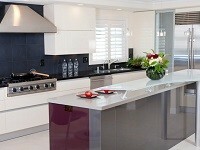 We only represent tile companies in our showroom, we don’t sell tiles online. We believe that this is the best retail model to offer customers the best experience they would ever need.